Are you looking for a festival experience that will lift your state, your perspective, and how you feel in a truly transformative way? Imagine being set free to connect with those around you on the deepest levels possible . . . to express your true, unhindered self in a positive environment built on mutual respect, authenticity, and natural beauty. That’s what a Phat Productions experience is all about. So come to escape with our tribe of like-minded seekers for 72 hours of an immersive, life-changing journey that transforms you into the best version of yourself, while creating memories that last a lifetime. So get yours now before they go up to the next tier! It is time to lock in your experience of a lifetime. You accept that if the road closes due to weather you accept you cannot get your car out until it reopens. No exceptions. Dimension features 3 zones of incredible music with all playing full time throughout the 3 days. There is the Main Stage, blasting the very best in international trance, progressive, breakz & techno through the Opus Soundsystem with full sensory immersion light, visuals, and lasers. Then you have the DnB Stage by Home Base Radio, providing the ultimate alternative to the Main Stage. And finally, there is an incredible space to recharge with the Woosah Chill Stage, playing the most chilled groove to relax, vibe and meet people. Over 80 acts booked! Loading your senses with the right high fidelity input immediately and effectively puts your focus above any apprehensions and negativity as you become enamored instead by the colorful wash surrounding and calling you to merge with the beauty all your senses are all taking in. Immersive Sensation is a progressive process that builds you up further and further by degrees throughout the event, setting you ever freer as your experience itself is made into both a science and an artform. Human beings are tribal, collective creatures that crave community and belonging—a place to join together, have fun, and be part of something bigger than any individual. Beaming glances, happy smiles, and kind words are shared, and you’re likely shocked by how easily you see yourself connecting due to the shared experience you’re all being built up by together in the completely safe haven of the festival. Along with the freedom to be your true self, you’re also looking for ways to effectively express who and what you are outward. . . to make known that real “you” that the experience sets free to discover and accept. To that end, there is really no limit to the possibilities for activities that meet your desire for creative expression at Dimension. Do you crave the space and freedom to discover and really live as your true self . . . to separate for a time from work and other responsibilities so you can get back to nature, let loose, and simply do what feels right just for the sake and value of freedom itself? There is nothing like the freedom of letting your own individuality start to shine . . . perhaps in calling out to waves of strangers about how beautiful you think they are, or abandoning your old rigid 2-step dance and allowing your body to show you how it really wants to move. So come let every aspect of your being be enhanced. Really, there’s nothing like it. We look forward to sharing this festival experience with you. 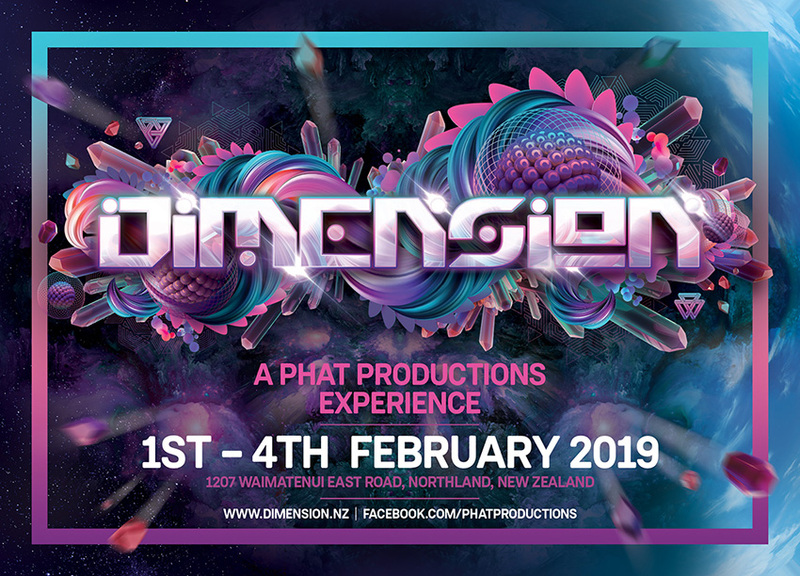 © 2019 Ticketbooth New Zealand on behalf of Phat Productions Ltd. All sales are final. Tickets are non-refundable.